Get your Galaxy S7 and S7 edge now at RM500 off! This is the opportunity not to be missed, so make your move now! You will need to download mySamsung app to redeem the offer. Enjoy RM500 OFF when you purchase Galaxy S7 (RRP: RM2,699) or Galaxy S7 edge (RM3,099 32GB / RM3,399 128GB) at selected Samsung outlets within Malaysia! Hurry while stocks last. Offer is on a first time, first serve basis only. Head over to a participating Samsung Participating Partners outlet. Upon arriving at your preferred outlet, shop for your preferred GALAXY S series. (Choices are: Galaxy S7 or Galaxy S7 edge). At the payment counter, tap on "Redeem Now". Sales person will verify and record the redemption code and swipe on the "Swipe Here" tab. 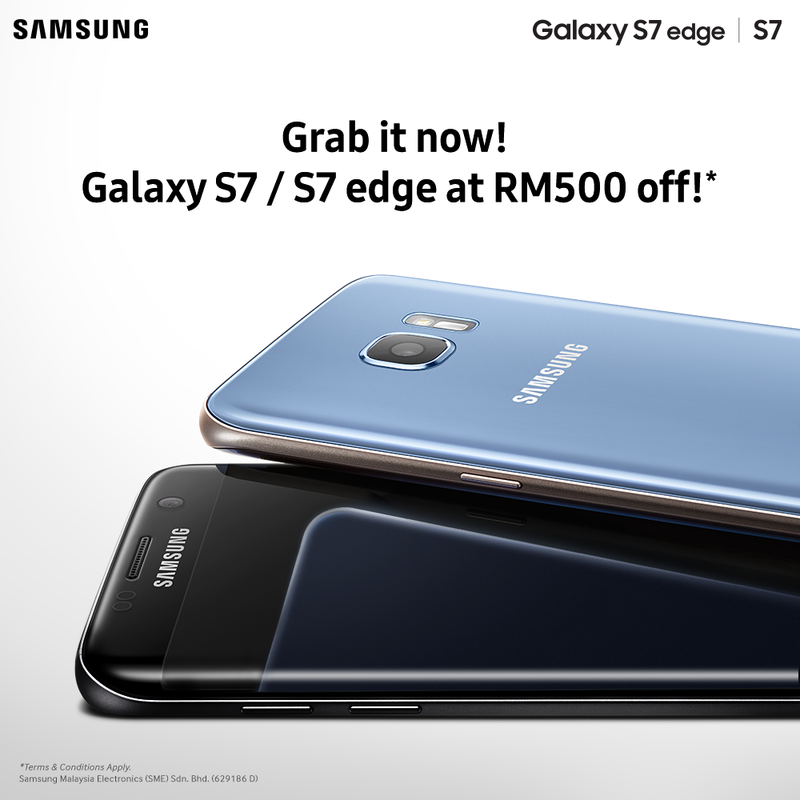 You will then entitled for a RM500 OFF for one (1) Samsung Galaxy S7 (RRP: RM2,699) or Galaxy S7 edge (RM3,099 32GB / RM3,399 128GB).